It's that time of the week again. 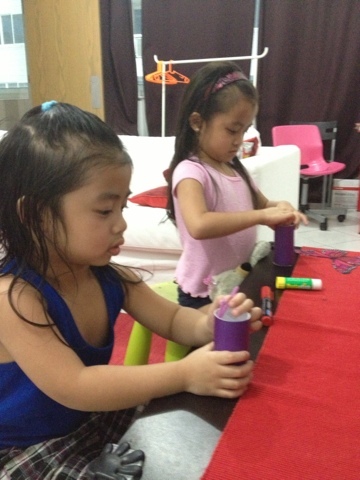 My kids were so excited every weekend for their craft activity. This week I've chosen this simple and easy to make craft for my kids. We made a butterfly out of toilet rolls. Butterfly template (you can download it from here, thanks Kraftykid.com). 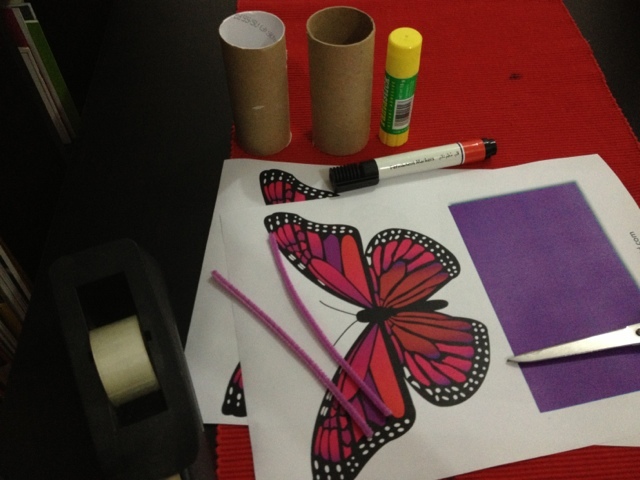 First, cut the butterfly wing template that you have downloaded. Next, let the kids glue the purple paper onto the toilet roll. 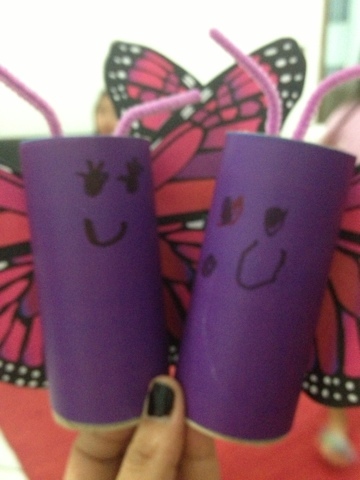 Ask your kids to draw the face of the butterfly. Help your kids by taping the pipe cleaner on top. This will serve as the butterfly's antenna. Finally, have them glue the wings on the tissue roll. 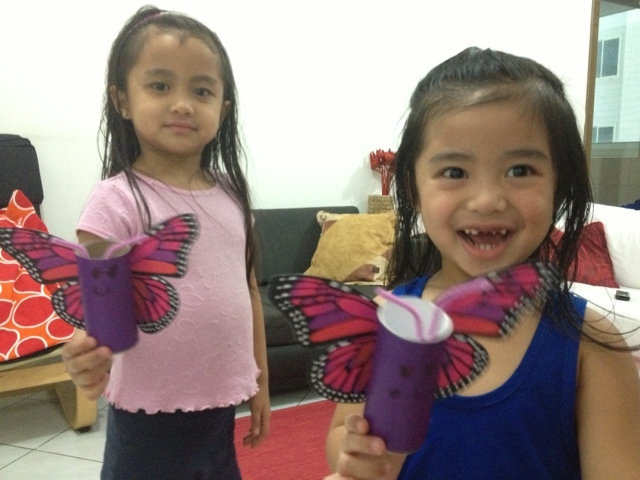 My kids were so happy with their DIY butterflies and have been bragging about them to their friends, Titos and Titas.